Clear your mind of all preconceptions. Focus on the light ahead of you. 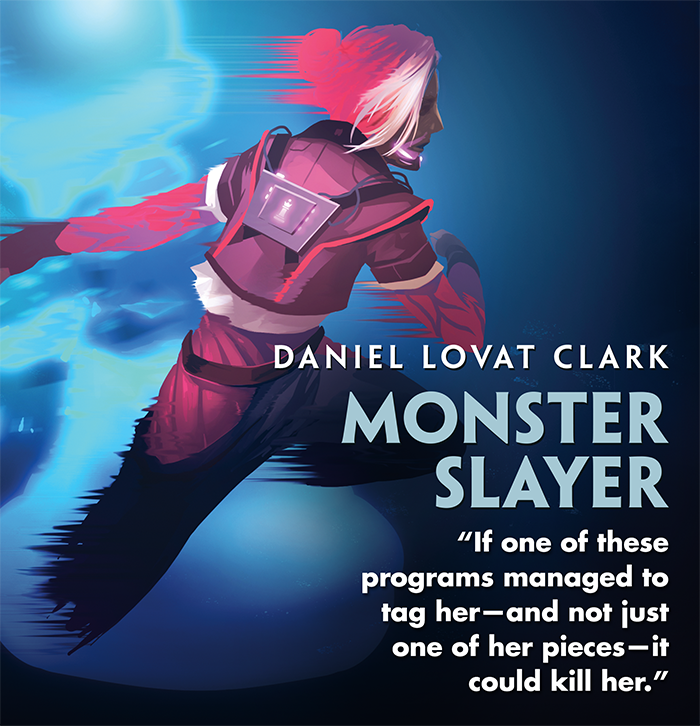 The limited edition hardcover version of Monster Slayer is now available, and author Daniel Lovat Clark is going to take you deep into the Network. "…She advanced a pawn. It was destroyed almost immediately, and a white knight flickered into existence where it had been. Another pawn, another white piece…"
A must-have story for all fans of Reina Roja and the Weyland Consortium, Monster Slayer is a riveting and action-packed take on the classic hero's journey, and it's written by the co-creator of the Android universe. This means that even as it follows Reina's encounters with deadly ice, armed prisec, and other dangers, the 96-page novella offers vivid and authoritative representations of the streets of New Angeles and of Reina's time jacked into the Network. In addition to its story, the special hardcover version of Monster Slayer offers sixteen exclusive, full-color pages of setting details and background information. 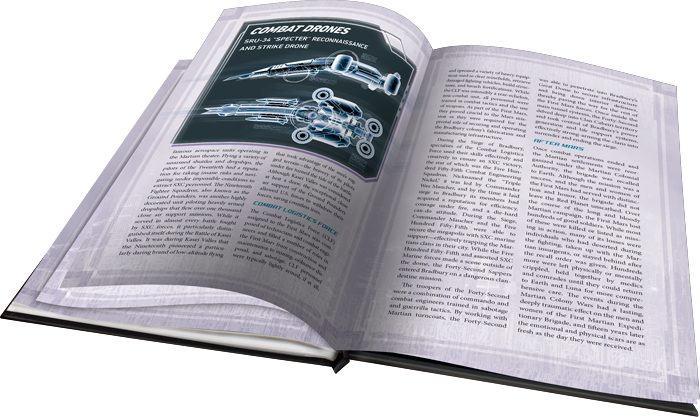 These enhance your understanding of the Android universe and supplement your appreciation of Reina's conflicts by taking you deeper inside GRNDL, the First Mars Expeditionary Brigade, and the tensions in New Angeles surrounding the Quito Accord. "…In full-immersion, the real world moved slower. The sec team approached as if through tar. The hopper above floated stock-still, a piece of newsrag drifting in its backwash." When Reina’s efforts lead her deep into some of Weyland’s most heavily secured servers, she discovers that its geothermal fracking initiative, Project Vulcan, is far more dangerous than the public realizes. But then again, so is the Weyland Consortium. As Reina digs deeper and contacts old allies, she learns firsthand just how far the megacorp will go to protect its secrets. As the stakes grow higher, the body count rises. Can Reina expose the threat posed by Project Vulcan? And, in the end, will her crusade be worth the cost? 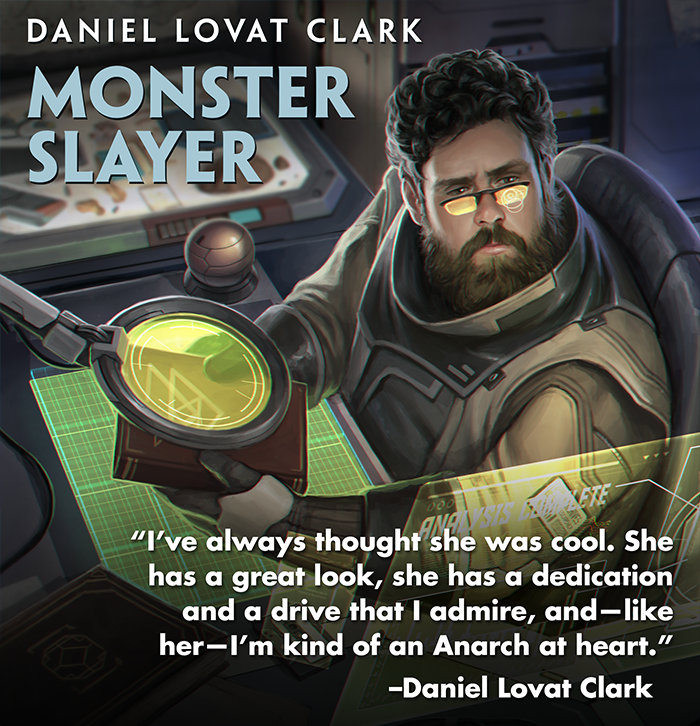 No one knows the Android universe better than Monster Slayer author and Android co-creator Daniel Lovat Clark. And it shows. Reina spent an entire day finding and fortifying a new base of operations. She settled on a place not far from the Rio Daule, one that overlooked a canal so choked with trash the neighborhood cats walked across it. Even as Monster Slayer follows Reina's desperate efforts to undermine the Weyland Consortium, it serves as your brain-machine interface, allowing you to plug your consciousness directly into a world of artificially intelligent bioroids, military grade drones, widespread security networks, powerful cybernetics, and virtual realities. You'll see, hear, and even smell the streets of New Angeles. You'll better understand what it's like to live in the shadows of the megacorps. And you'll gain a new appreciation for Reina Roja's remarkably stylish (and functional) skinsuit. If you've ever wanted an entry to the Android setting's not-too-distant future, there's no more direct route than Monster Slayer. It's written by the setting's co-creator. It offers a ground-level look at the struggles between runners and corps. And it's available now through our webstore. Order your copy today! It is the future. The world has changed. People did not. In the not-too-distant future of the Android setting, we have colonized Luna and Mars. Androids walk among us, looking and thinking like human beings. Humans have modified themselves more than ever – through cybernetics and genetic modifications. But human behavior has not changed. TM & © Fantasy Flight Games.